Print out this card to help yourself have more kavannah while reciting brachos! 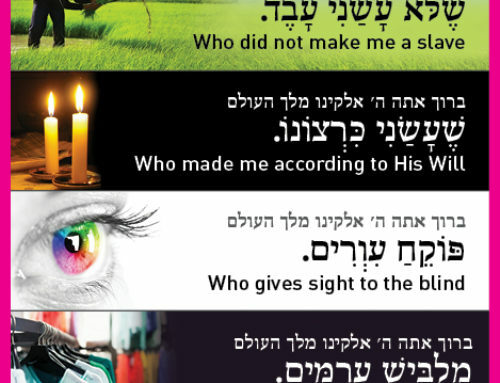 Read your brachos from this card to help you focus on the meaning of the words as you read each brachah. 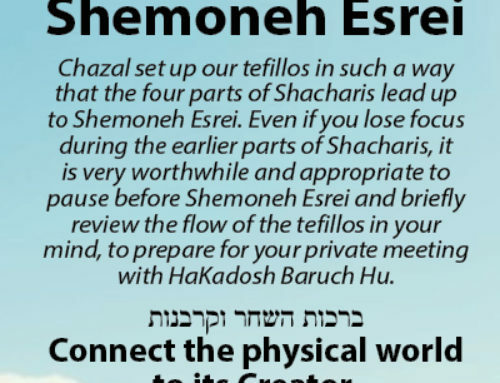 It is well-known that the Manchester Rosh Yeshiva, Rav Yehuda Zev Segal zt”l, would always say his brachos while reading from a text. Download 1 card with instructions. Download 2 cards per page. In general, keep 2 paper clips stored on the bottom of the card. 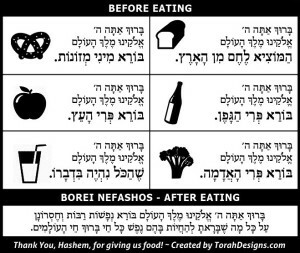 Whenever you are in the middle of eating and need to remember to say Borei Nefashos or Al HaMichya later, put a paper clip by that brachah. After you have finished saying Borei Nefashos or Al HaMichya, put the paper clip back on the bottom of the card for storage. See the instructions for a visual demonstration.